Oxford University Press, USA, 9780199380541, 357pp. Ada Gobetti's Partisan Diary is both diary and memoir. 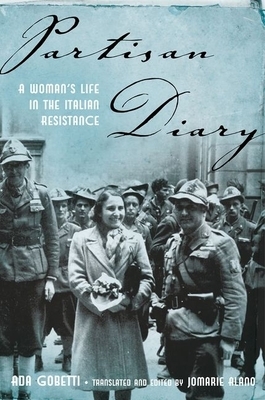 From the German entry into Turin on 10 September 1943 to the liberation of the city on 28 April 1945, Gobetti recorded an almost daily account of events, sentiments, and personalities, in a cryptic English only she could understand. Italian senator and philosopher Benedetto Croce encouraged Ada to convert her notes into a book. Published by the Italian publisher Giulio Einaudi in 1956, it won the Premio Prato, an annual prize for a work inspired by the Italian Resistance (Resistenza). From a political and military point of view, the Partisan Diary provides firsthand knowledge of how the partisans in Piedmont fought, what obstacles they encountered, and who joined the struggle against the Nazis and the Fascists. The mountainous terrain and long winters of the Alpine regions (the site of many of their battles) and the ever-present threat of reprisals by German occupiers and their fascist partners exacerbated problems of organization among the various partisan groups. So arduous was their fight, that key military events--Italy's declaration of war on Germany, the fall of Rome, and the Allied landings on D-Day --appear in the diary as remote and almost unrelated incidents. Ada Gobetti writes of the heartbreak of mothers who lost their sons or watched them leave on dangerous missions of sabotage, relating it to worries about her own son Paolo. She reflects on the relationship between anti-fascist thought of the 1920s, in particular the ideas of her husband, Piero Gobetti, and the Italian resistance movement (Resistenza) in which she and her son were participating. While the Resistenza represented a culmination of more than twenty years of anti-fascist activity for Ada, it also helped illuminate the exceptional talents, needs, and rights of Italian women, more than one hundred thousand of whom participated. Ada Gobetti (1902-1968) was a member of the Italian Resistance. Jomarie Alano is a Visiting Scholar at Cornell University's Institute for European Studies.